There is much about hair growth that we do not understand but we do know that our genes control much of how we grow and lose hair. Hair consists principally of a protein called keratin and is of different types depending on the gender and its location on the body – androgenic hair, vellus hair, etc. Hair has 3 growth cycles – the growth phase (anagen), the cessation phase (catagen), and a rest phase (telogen). At any given time each strand of hair could be in any one of these phases. 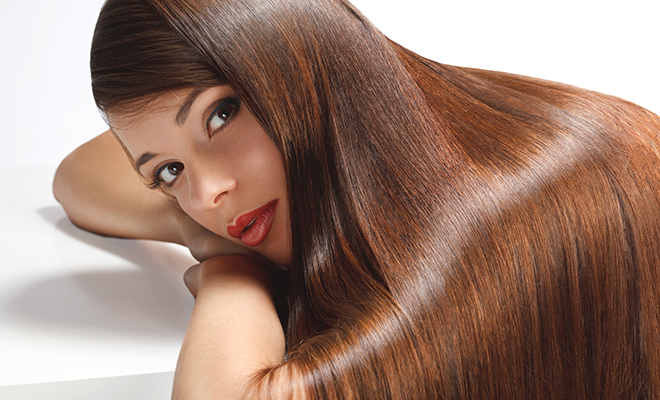 The average person’s hair grows at a rate of half-an-inch per month. Some grow faster and some slower but that’s the average. If you find that your hair isn’t growing past a certain length, then something is definitely stopping it from growing. 1. Be gentle to your hair: Avoid excessive and harsh combing to reduce pulling out of hair. Brush out the snarls gently; else it may cause hair breakage. Also remember that certain hair styles (tight braids, cornrows, etc.) damage hair; and so do the hair extensions. These could even cause bald patches and permanent damage in some cases. So avoid these to the extent possible.